Vacuum pumps in NYC are used to improve the efficiency of steam heating systems in several ways. Most importantly, the consideration is the rapid removal of air. Air inhibits the flow of steam and reduces its heat transfer capabilities. One solution to the issue of air in the system is to increase the steam pressure and thus "force" the system, however, this results in higher temperature steam, delayed warm up, uneven steam distribution and wasted fuel. The removal of air with an efficient mechanical vacuum pump solves this air problem in a very economical manner. 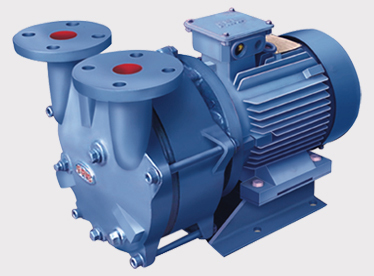 We offer a selection of vacuum pumps and vacuum pump installation. If you are in need of a vacuum pump in NYC, contact Platinum Pump Corp. for pump sales.